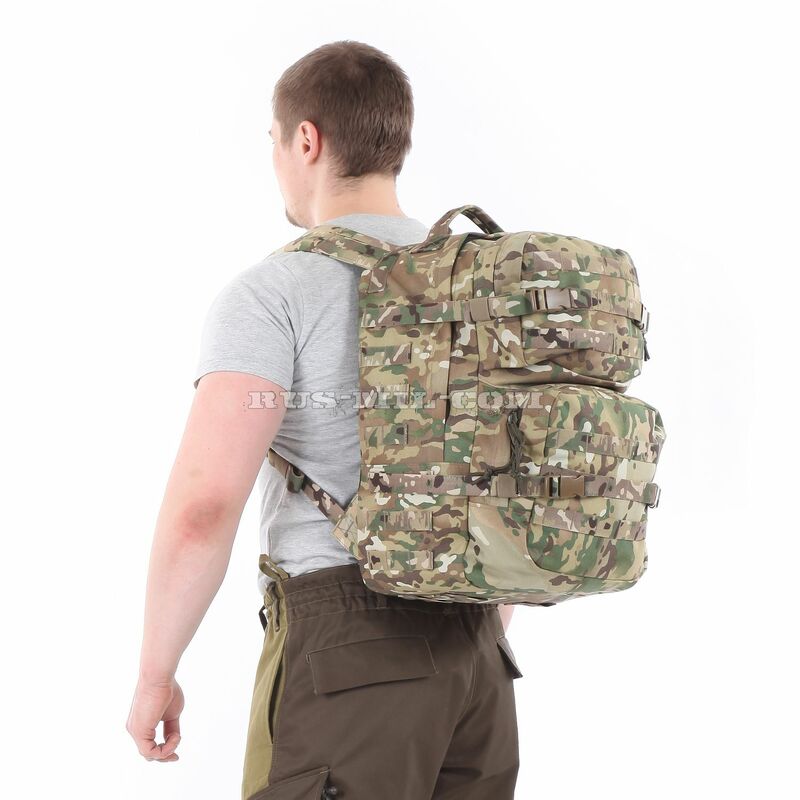 The main material of the Assault Backpack KE Multicam with Multicam slings is a synthetic fabric, an equivalent of Cordura fabric, with a density of 1000 denier with polyurethane coating. This material does not absorb water and liquid dirt, is quick and easy to clean, does not stretch, is resistant to abrasion, withstands significant gross physical effects. 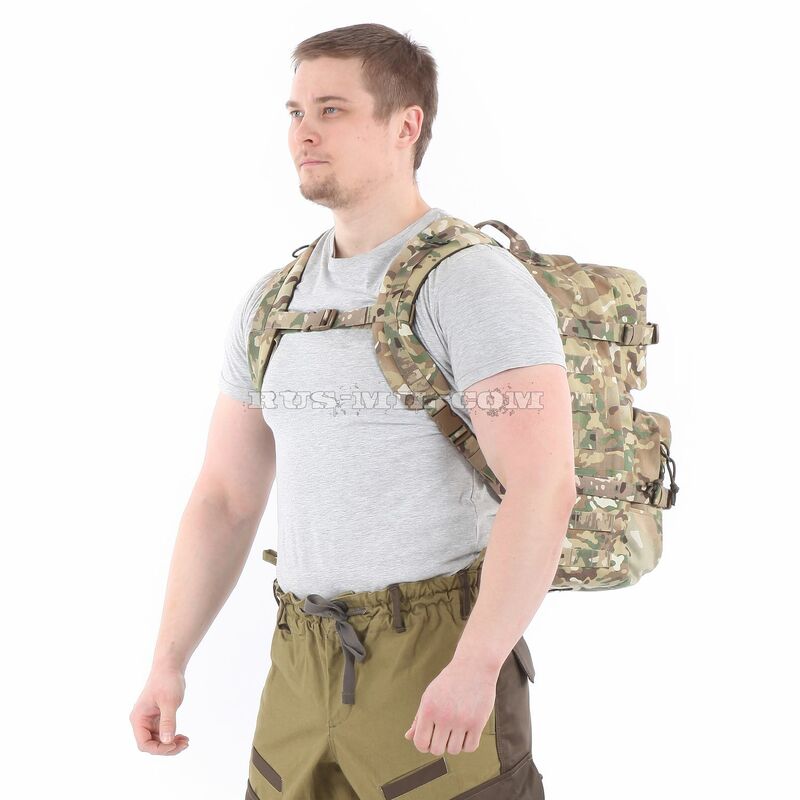 When manufacturing the Assault Backpack KE multicam with Multicam slings 40l Cordura 1000D used high-quality high-strength thread, which will not lose their best properties and qualities throughout the life cycle of the product. 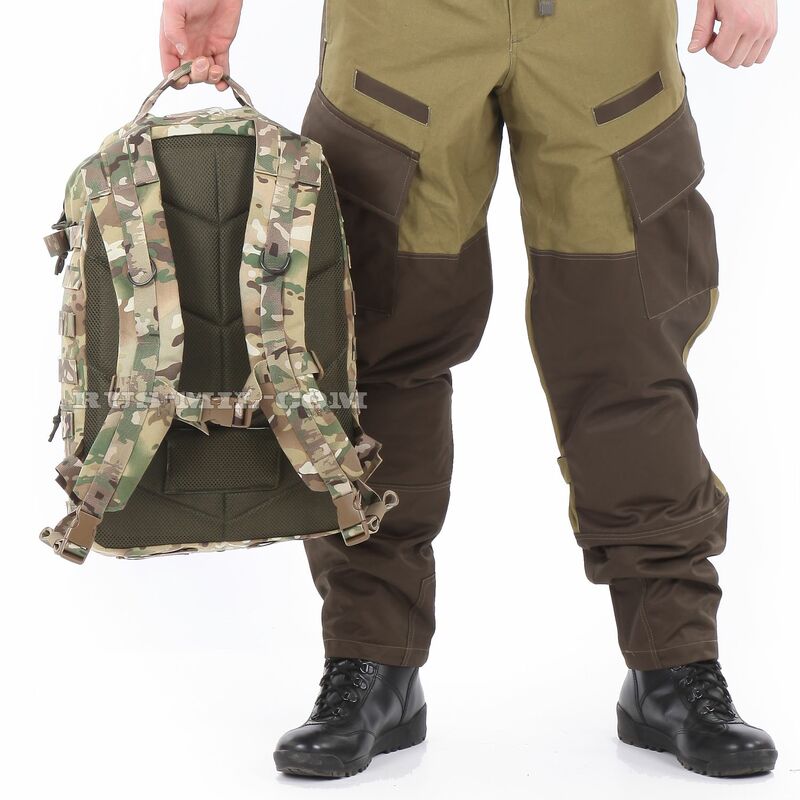 Upper material: 100% nylon, Cordura fabric equivalent, density 1000 with PU coating 1000 mm water column.